Concierge Publications provides Northern Michigan visitors and summer residents the same quality service that a concierge in a fine hotel offers: where to go, play, stay, dine, shop, and enjoy. We have been your concierge through our publication Concierge since 1988. Concierge welcomes you to Northern Michigan with our three times a year publication. This long standing and well known digest-size publication includes the north's most comprehensive calendar of events, stories, maps, and more. You can find businesses easily through our sections of shopping, dining, activities, lodging, galleries, and antiques & furnishings. We've been serving as your concierge since 1988 because we are passionate about all that there is to see and do Up North. Concierge Publications has grown over the years to include a variety of publications and websites. 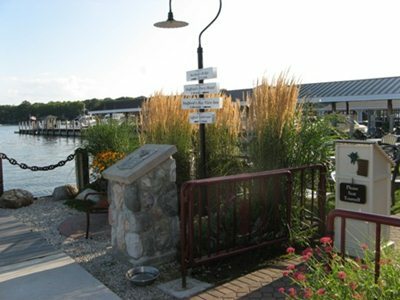 In addition to Concierge, we publish the Harbor Springs Visitors Guide each year as we have for 15 years for the Harbor Springs Area Chamber of Commerce. This jam packed, annual guide to Harbor Springs includes of history, stories, maps, pictures and information on dozens of businesses. Our Map Guide is published each December and is a detailed map which includes recreational and bike trails and more. For nearly 20 years, the Straits Area Menu Guide is the dining guide for the Mackinaw City area filled with menus, maps, and more. Mackinac Island, Boyne City and Northern Michigan are filled with all you need to know to plan and play Up North. And our Northern Michigan Yellow Pages serves as an online business telephone guide and yellow pages for all of Up North. We're your complete concierge---Concierge Publications! Want information on how to advertise in our print or online publications? Click on the Contact button on the left!